The Story Pirates podcast — [iTunes // Overcast] — continues to be one of the best podcasts for kids. Silly stories written by kids and hilariously brought to life by sketch/improv comedians? How could you go wrong? 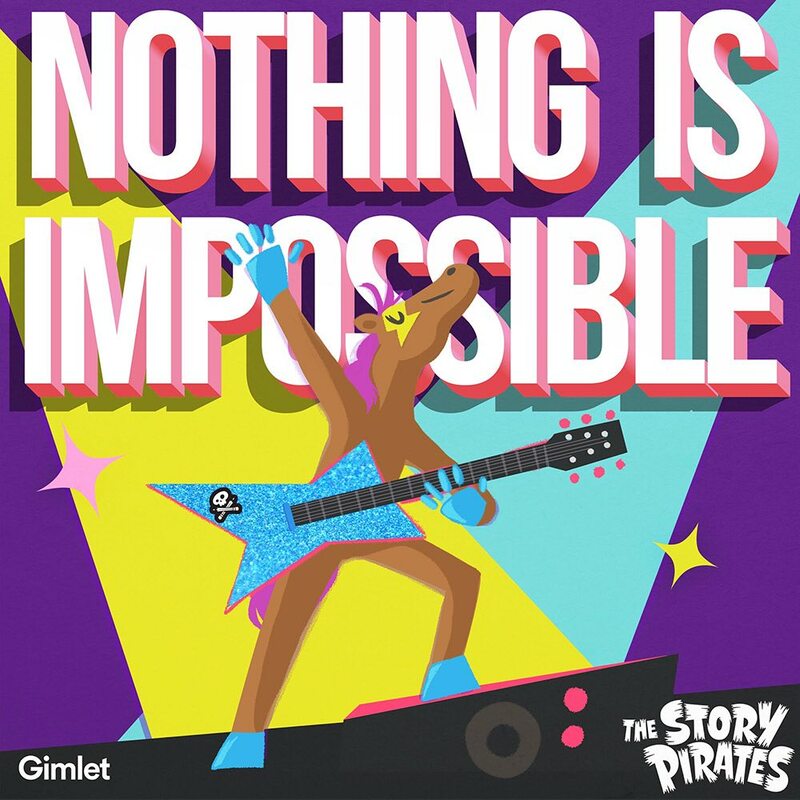 Anyway, last year the Story Pirates put out an album of those kinds of songs titled “Nothing is Impossible”, and it’s been on frequent rotation for our family’s driving trips. I mean, an album that starts off with a funky song called “Fart Out Loud Day” is going to be a hit with our 7yo son, it’s just a fact. There’s a lot to enjoy about this album, from laugh-out-loud tracks — “All 8 Unicorns” and “Fred the Carrot” come to mind — to surprisingly solid pop songs like “Star”. You music theater nerds out there in particular will find lots of little musical references to pick up on, since those are clearly the kinds of people who put so much work into these songs.